3D printable file sharing website MyMiniFactory has launched a feature for remixing and designing 3D models, that might become the snapchat of 3D printing. The 3D Filter allows anyone to easily apply 3D filters to items from the website and make unique reworks at the click of a button. In an interview with the 3D Filter’s developers, Yuhao Huang and Shane N. Yemming, 3D Printing Industry learn about the inspiration behind the project; that “Filters should belong to any dimension” and aren’t just reserved for the 2D world of Snapchat and Instagram. 8 gradients of a voxelized 3D balloon dog as it appears in MyMiniFactory’s 3D Filter. 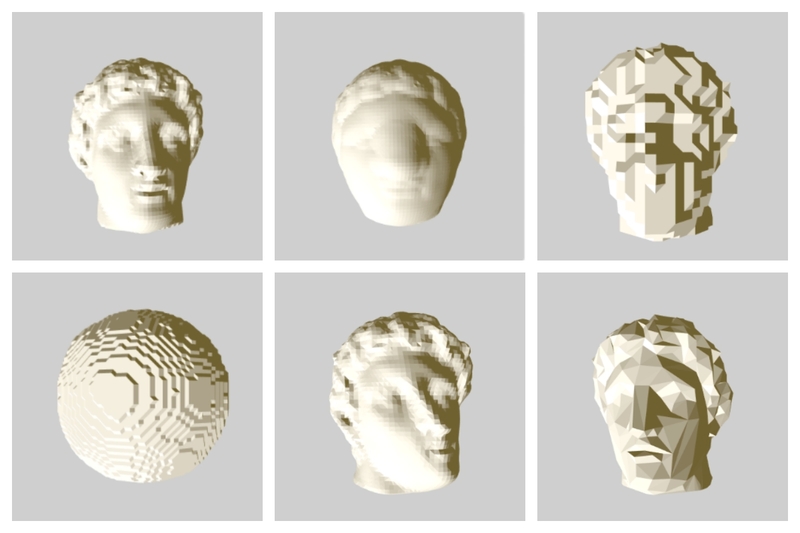 The site currently offers five different 3D Filters for customizing objects: Morphing, Morphing & Voxels, Voxels, Twist and LowPoly. In ‘Morphing’ there is a panel of 3D models on each side of the screen. On the left are detailed models like the heads of statues, lions, and balloon animals, and on the right: stock 3D shapes, e.g. a sphere, cube and a donut. Selecting one model from each side creates 6 variations in-between the original objects, expanding, squashing and stretching the shape to suit. Huang describes this filter as “probably the simplest to make” as it just combines the two models in varying degrees, e.g. in the image below the middle model is made of 50% lion and 50% cube. As the three-dimensional version of pixels, voxels are the basic building blocks of a 3D object. With the ‘Voxels’ filter, objects can be rendered in this 8-bit style, making Minecraft-inspired models out of anything.